Would the state and city policies change? How would they change? Whom would they benefit? Could such an approach fix any problems? … We recommend you to read this article. 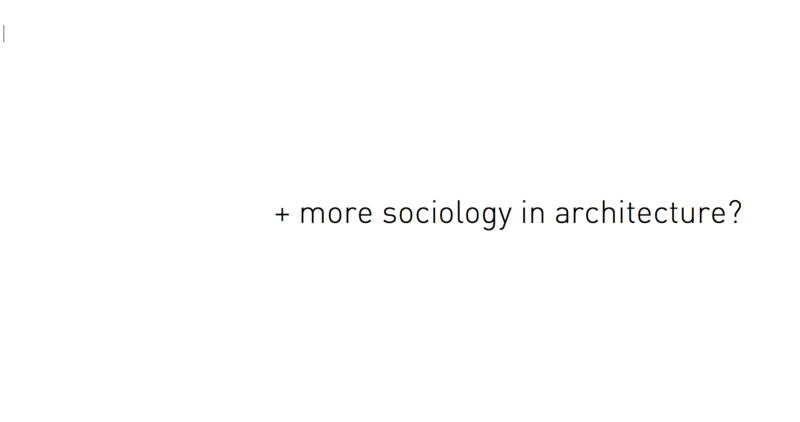 Addiotionally think about the influence sociology has (not) on architecture. You might have a very creative study in your pocket (planning, architecture, design…). And imagine sociology had more influence on planning: what would change? what would be better? what would be worse? Have you ever considered the social impact of your creation? And how does your working reality look like? What empowers/limits your work creativity? sociology? techonology? or economy? How does your planning and working reality look like? Who/What has a say in your work? Tell us your version of the “what if”. Please comment below.